Tell a friend about this ad! Sired by Fabregas out of a Royal Prince/Contucci mare. The dam was a very flashy promising young mare that won all her 4yo dressage classes with over 70% but unfortunately got injured early in her career. 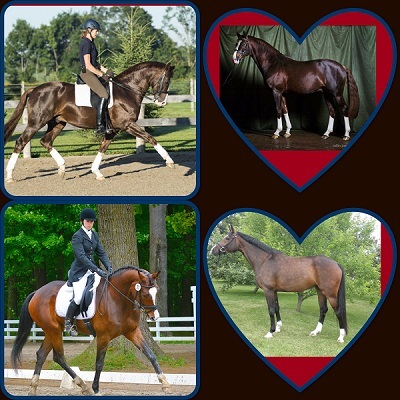 Foal is bred for FEI dressage as well as for hunter (dam has also Riverman in her pedigree). Foal estimated to grow around 16 to 16,3hh and should have lot of chrome like his parents. Includes Professional board/care until weaned (farm is managed by 2 equine veterinarians!). Price could increase after birth. Young horse raising available. EquestrianConnection.com not responsible for incorrect information.